Stephanie J King channels insights, inspiration and advice directly from the highest vibrational realms which filter through all her healing work as a successful life coach, respected counsellor, popular relationship guru, sought after reiki practitioner, cutting edge Soulprenuer and best-selling author. All of this helps to directly negate karma, to activate the higher soul agenda, life purpose and most importantly the ability to love and be loved. Though born in Munster, Germany, Stephanie grew up in England as the eldest of five children, to a German, non-English speaking mother and an English soldier father. The family struggled, largely ostracized in the close-knit quintessential English village. Stephanie learned to work, and work hard to make ends meet and overcome the prejudices of being ‘different’. From the age of about 11 she threw herself into part-time, school-term jobs and full-time, holiday work. These early years of serving others taught her valuable life skills and helped to awaken her intuitive knack to understand and deliver exactly what people needed. Life held plenty of twists and turns until one night, in her 30’s Stephanie experienced her first ‘awakening’ from Spirit. During the early hours of that morning, profound insights flooded her head as she urgently recorded them. Since then she has continued to correspond with Spirit and shares these communications through her popular published works. These books are also healing tools in their own right. Stephanie is now personally guided to help others rekindle their zest for life and recognise their own karmic journey, by literally re-plugging them back into life’s creative mainframe. Stephanie’s favourable international reputation and affiliations with many holistic associations makes her a popular choice for public appearances; to speak, teach, heal and empower people from all walks of life and career paths. Her work has helped individuals reinstate a positive outlook and renewed life purpose, allowing them to regain inner knowing, clarity, contentment and better health. These people are once again in charge of their destiny|Stephanie’s techniques and guidance are widely employed by therapists, counsellors, healers, beauticians, volunteers and carers to non-evasively enhance the services they provide to their clients. 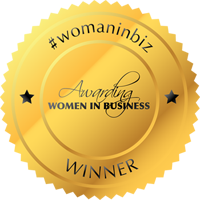 Stephanie maintains her visibility and glowing reputation via inspirational talks and workshops and her presence at major events and exhibitions throughout the UK and Ireland, where she promotes her personal development services and products. She is happy to make television and radio appearances, and support both the national press and specialist publications with editorials, interviews and features.